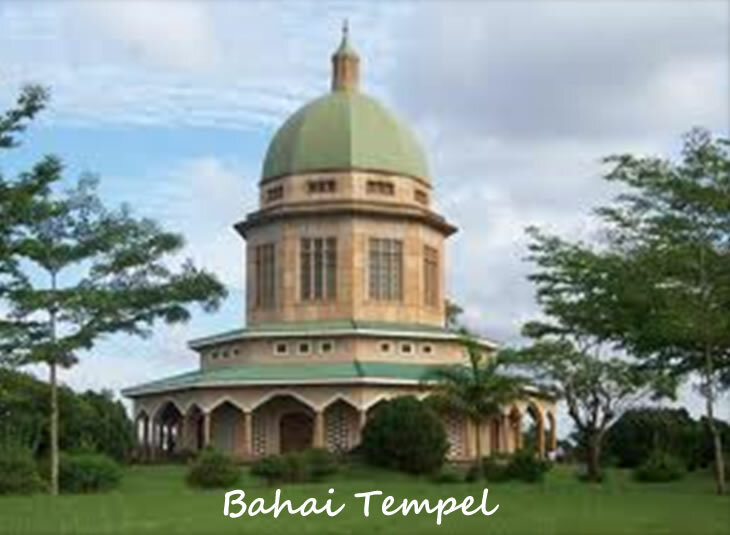 The Bahai Temple is the mother temple of Africa located in the Northern part of Kampala in Kawempe Division on kikaya Hill. The temple was founded in January 1958 and it was dedicated in January 1961. The temple was designed by Charles Mason Remey. The bahai faith started to grow in 1951 and it expanded with 500 believers. The bahai faith was banned by Idi Amin following the murder of the family and founder of Bahai faith that was Enoch Olinga. The temple is 130 feet (39 m) and above high, and 100 meters and above diameter at the base. The roof has 124 feet (37 m) and over high and it is 44 feet (13 m) in diameter. The foundation of the temple has the underground of 10 feet (3 m) and this is so to protect the temple from earthquakes that usually occurs in the world. The temple has the House of Worship, an administrative center, a guest house and extensive gardens.